“As a sector we continue to operate in challenging times and effective governance and strong leadership has never been more important. Our Board of Management receive no remuneration for the work they do but as committed volunteers bring together a wealth of skills, knowledge and experience and are committed to working with Senior Officers to find ways to continually improve how the Association operates. We have undertaken a major Governance review in 2015 based on the National Housing Federations (NHF) Code of Governance which has ensured that we have positioned ourselves to meet the Governance and Viability standards and requirements from our Regulator, the Homes and Communities Agency (HCA). I am delighted that we have strengthened Tenant and Resident Involvement in Governance and am excited about the role our Service Improvement Panel will play in co-regulation. 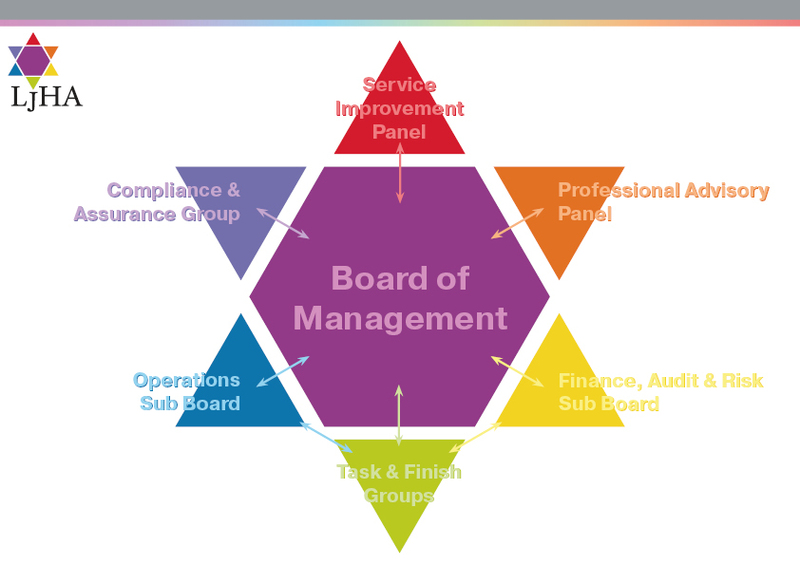 Our Board of Management and Sub Boards work together to constantly explore new areas for the development of LJHA and improvement of the services. We created a chart to show the flow of communication between the Board and the multiple Sub-boards and panels that keep LJHA improving. In 2016 we created a series of videos that showcased the different areas of LJHA, these include tenant stories, staff stories and a few from our board members – you can view all of these on our YouTube channel by clicking the link here. 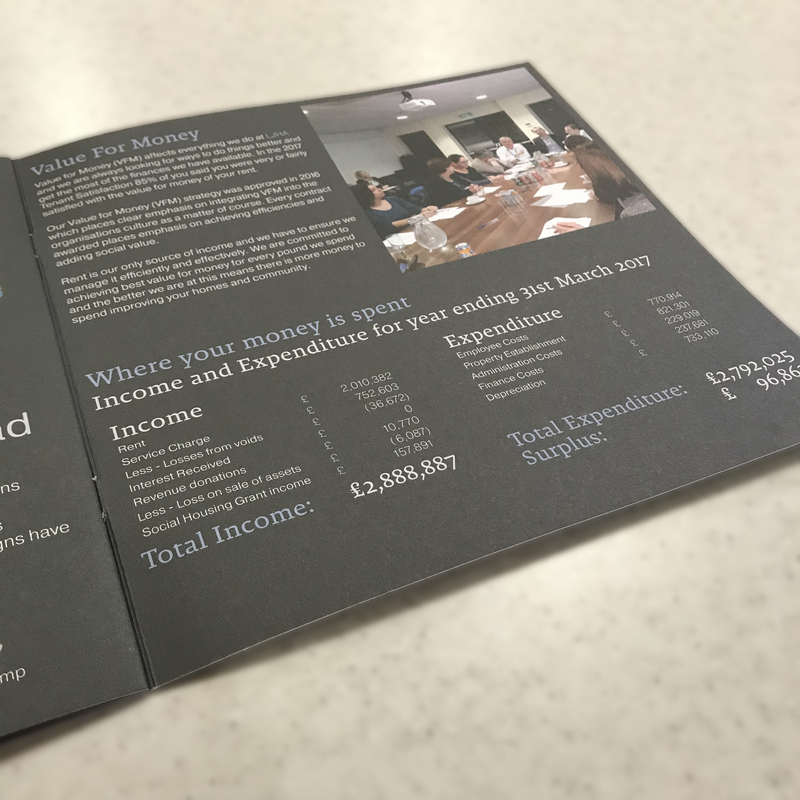 Each year we produce and publish annual financial statements (sometimes known as annual accounts or statutory accounts) for our stakeholders, including shareholders, tenants and residents, employees, local authority, regulator, suppliers and supporters in the community in which we work. The financial statements set out the organisations activities and contain an overview of our financial position at the end of the financial year. All housing associations are required by their regulator to publish a Value for Money statement each year. LJHA’s Value for Money statement in included in the financial statement. Leeds Jewish Housing Association’s treasurer, currently Daniel Myers, reports on LJHA’s accounts each year at the Annual General Meeting. Here are the details of Leeds Jewish Housing Association’s latest financial performance for the last financial year.